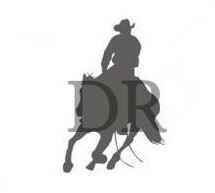 we welcome you to the official webpage of Drovers Run. We breed high quality Amercan Quarter and Paint Horses for cattle work, show, breeding and leisure. Drovers Run is mainly a cattle ranch, so our main breeding aim is to produce Top working horses that fits their breed in every move. We pay attention that the typical COW SENSE is given from one generation to the next. I hope we and our horses can enthuse you for this style of riding. Now have fun with browsing through the pages. mar 23th: SALES rules updated! Nearly all Profiles are done. mar 6th: New Profiles to come! Coyote and McMatt already got theirs! nov 9th: DR Letz Smoke Em was sold. This webpage does not show real persons or horses; Similarities are random. This webpage displays a Western Horse breeding based on the game The Sims 3(c). No REAL horses are breed nor sold. All rights reserved. Not associated in any way to EA.